Value-Priced Elk MEAT and Buffalo Meats. NOTICE: Regular PROMOTION CODES (other than for shipping) DO NOT APPLY TO ITEMS IN THE BARGAIN BARN. Larger minimum purchased also apply. for really great & CHEEP DEALS! 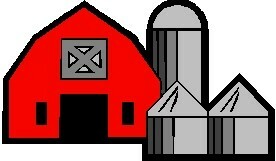 We sell MEAT by the pound, Packaging and shipping are additional costs. WE GUARANTEE TO FIND THE SAFEST AND LEAST EXPENSIVE SHIPPING OPTION FOR YOU. NOTICE: PROMOTION CODES DO NOT APPLY TO ITEMS IN THE BARGAIN BARN. 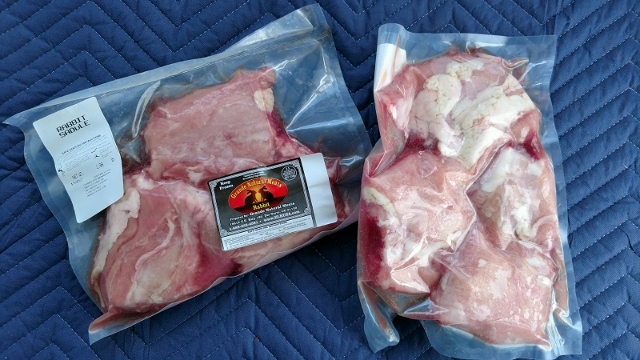 WHITETAIL DEER STEW MEAT (1 lb package) 10% OFF SALE! 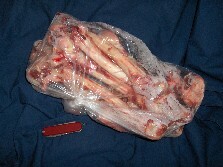 WHITETAIL DEER Leg Bones ...We are over stocked on really good marrow bones ONLY $1.38 per lb. 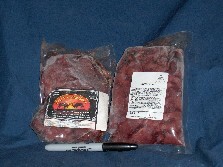 Elk Fajitas Strips... 1/2" strips of very lean Elk Meat Round Steak, great for STIR FRY ELK or for that special gathering with wraps or burritos (2 lb. packs and/or 5# packs. 5# minimum order) 20% OFF SALE! Elk Round Roast BUY 3 (or more roasts) GET 20% OFF! 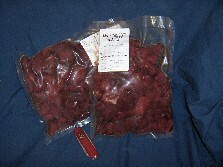 TOP or TIP Elk Round Roast ... 2 to 3 lb.. ea lb.. (to be ordered by the pound.) 9 pound minimum. 20% OFF SALE! ♦ Smoked Buffalo Cheese Bratwurst ... with pork added (1 lb. 4 link packs) Rich's Choice20% OFF SALE! 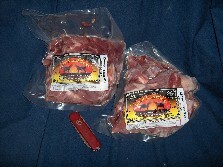 with pork added (1 lb., 4 link packs) 20% OFF SALE! 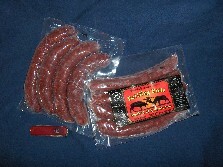 ♦ Buffalo Cheezy Italian Link Sausage ... 1/4# Links (~1.0 lb. packs) MUST BE SHIPPED FROZEN. 20% OFF SALE! RABBIT Young FRYER Bone-in Saddle. The best parts of a great Rabbit meal! Includes Loins, tenderloins and rib meat with backbone, and some ribs. BONE-IN 20% OFF SALE! We sell MEAT by the pound, Packaging and shipping are additional costs. WE GUARANTEE TO FIND THE SAFEST AND LEAST EXPENSIVE SHIPPING OPTION FOR YOU. A LACK OF BULK LEADS TO A MORE RAPID LOSS OF COLDNESS, particularly during warm weather periods. We Recommend about 35# of meat per box for a good cold sink. Rich's Bulk Bargain Barn is Grande Natural Meats OUTLET STORE for great deals on delicious elk meat, buffalo meat and other popular venison or wild game products. Each couple of weeks, we review our freezer game meat inventories and select various meat items to offer at deep discounts. All products are USDA inspected and are guaranteed to be good, quality meat.....kept frozen at -15 degrees, sometimes for many months, sometimes for just a few weeks. Occasionally, we buy a product as a SPECIAL PURCHASE from an affiliated meat broker who needs to move out his overstock inventory. We then pass along our savings to you! Other times we offer DATED INVENTORY whereby elk meat or bison meat exceeds our limit on frozen storage of up to one year, yet is still good meat for human consumption .... but just not up to our usual quality standards. I eat it .... so I know its good! Now remember, since all our meat packages are vacuum-sealed, freezer burn is not a problem. Lastly, sometimes even good ol' Rich makes scheduling or production mistakes and ends up with too much of this elk meat cut or that kind of buffalo steak, too much meat which can not be sold during a reasonable storage period. So those products are OVERSTOCKS which just simply save you money but with no sacrifice on any quality at all! When an item comes on sale, it may last a few days or a few weeks, so stock up when you see something you like ..... it may not be there next week. Individual sale items are usually bunched into 5#,10#, 20# or more packages to facilitate rapid sale at a great price. The usual shipping charges still apply, but ask about special shipping deals if a large quantity is on your mind. 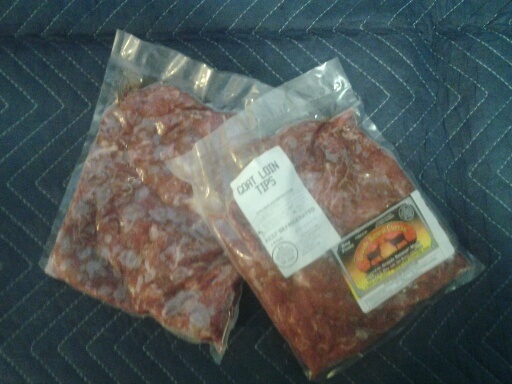 Finally, we do have buffalo meat or elk meat packages that get dinged up in transport, or at one or our many various retail locations. Since those packages don't present well, they don't sell well either. We have these packages on display at our Outlet Store at the ranch right off US Highway 160, 5 miles west of Del Norte, Colorado or you can call us to get 30% to 50% off most cuts .... that is....if you don't mind less than pretty packages or blown vacuum seals. Remainder of nation via UPS 1 or 2 day air express or 3 day UPS ground. Ask about discounted cuts & volume pricing!